Mason bees are easy to raise, gentle, and great for pollinating! Grampa’s Weeder is by far the most effective, effortless weed remover ever. With its simple lever design and durable construction, this tried and true tool is ingeniously designed and made to last forever. 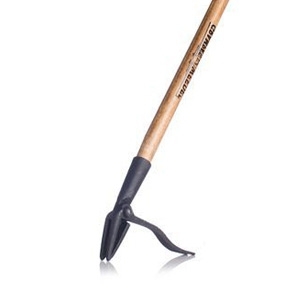 Gardeners are especially fond of Grampa’s Weeder because it allows them to weed without bending, pulling, or kneeling! People with children and pets and those who just love the earth enjoy weeding their yards without the use of harmful chemicals. A rich soil amendment comprised of composted poultry manure that is great for all outdoor soil amendment needs. 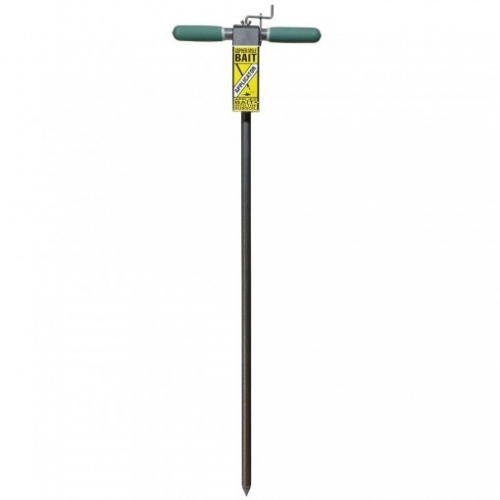 Suitable for all plants, including vegetables, flowers, shrubs, trees, and fruits. 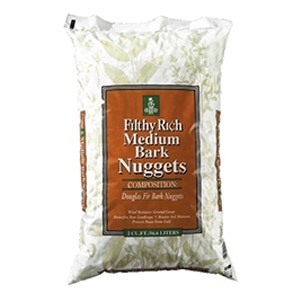 Refreshes garden beds with natural organic matter. Won’t burn plants when blended into soil as directed. 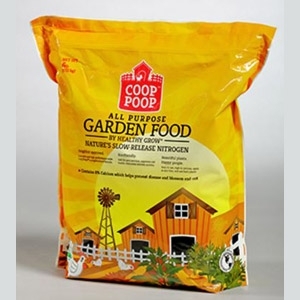 Coop Poop™ organic fertilizer by Healthy Grow® is naturally packed with the essential nutrients your soil needs to grow hearty, healthy plants. This Aerobically Composted Chicken Manure (ACCM) is high in calcium for strong plant tissue development and disease resistance, while also improving photosynthesis, nutrient uptake and starch conversion. 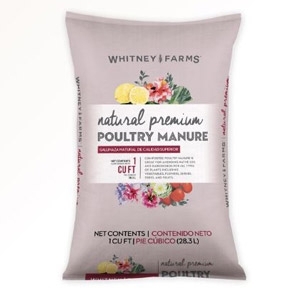 Plus, Coop Poop is virtually odor-free compared to the pungent scent normally associated with other manure-based composts. 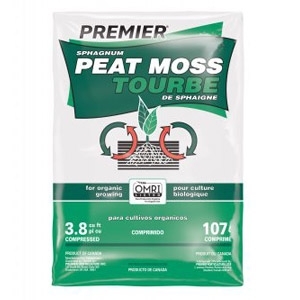 Sphagnum peat moss is well suited for indoor and outdoor horticultural application. It conditions all soils by improving aeration, water drainage and nutrient/water retention. 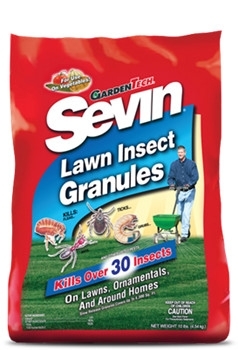 It is used as a soil amendment for gardens as well as preparation and restoration of lawns. Produced from the bark of the majestic Douglas Fir tree, Filthy Rich Bark Nuggets make a beautiful wind resistant decorative ground cover to enhance the look of any landscape. Bark Nuggets are a 1 to 2 inch nugget, free of fines, and ideal when a coarser, more textured look is desired. 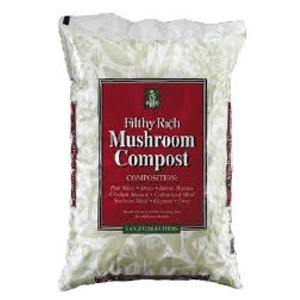 Filthy Rich Mushroom Compost is a blend of Canadian sphagnum peat moss, horse and chicken manure with other organic-based ingredients and minerals. Use Mushroom Compost when an organic-based mix is desired, particularly in raised bed gardens where the soil needs to be light and loose. 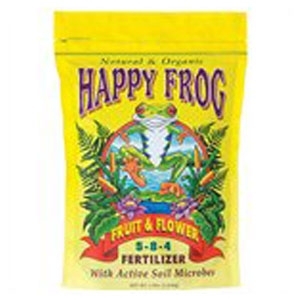 Foxfarm Happy Frog Fruit & Flower Fertilizer encourages multiple blooms & great bud development for all your flowering plants, creates brighter colors, spellbinding scents, & delicious flavors. Formula is ph balanced with premium organic ingredients like bat guano, kelp meal, bone meal, feather meal & other beneficial microbes to help convert fertilizers into vital plant food & enhance disease resistance. 4 lbs. 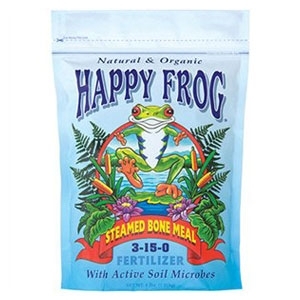 Foxfarm Happy Frog Steamed Bone Meal contains calcium, which creates strong cellular development in plants and is ph balanced with premium organic ingredients like bat guano, kelp meal, feather meal & other beneficial microbes to help convert fertilizers into vital plant food & enhance disease resistance for all stages of plant growth & flowering. 4 lbs. 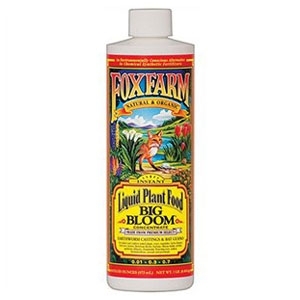 Built with natural and organic blossom builder, our special, micro brewed formula incorporates earthworm castings, bat guano, and other high test organic ingredients that offer a full range of nutrients. 1 pint. Large-scale pest protection. Large-scale results. If you’ve got a large property to maintain and protect, this is the way to go. Loaded into a spreader, granules provide coverage for thousands of square footage. Adjusts the pH of excessively acid soils. Innovative design that adds comfort. Great for small yards. 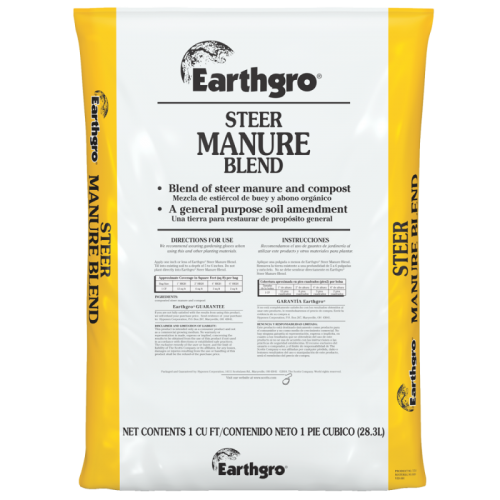 Great for applying grass seed & fertilizer in spring, summer & fall. 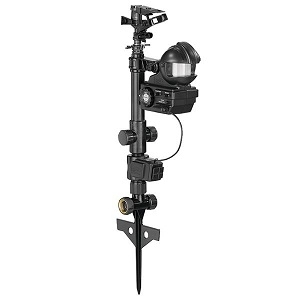 The H2O-Six Gear Drive Sprinkler is one of the most versatile sprinklers on the market. 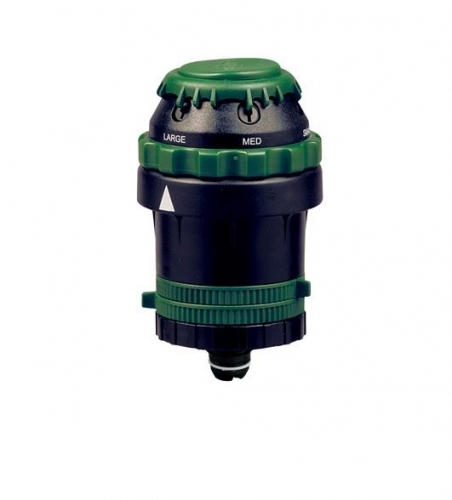 It has six spray patterns to choose from, making it ideal for small, medium or large watering areas. 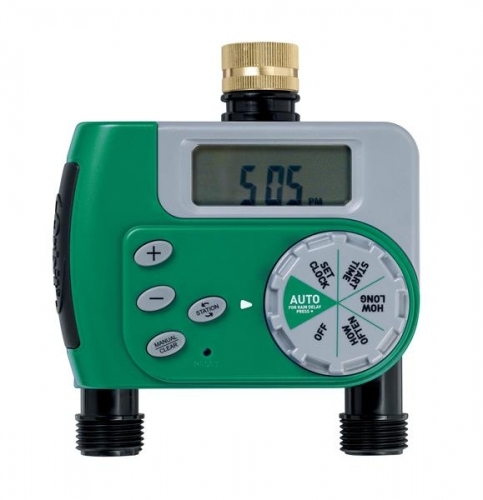 The Orbit 2 Outlet Digital Watering Timer will turn your hose faucet into a programmed sprinkler system in minutes. No more dead plants because you forgot to water them. No more soggy lawns because you forgot to turn the water off. 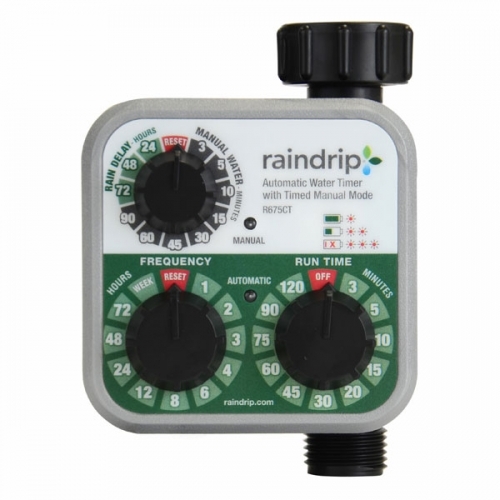 Simple to use battery operated timer to automate your drip system. 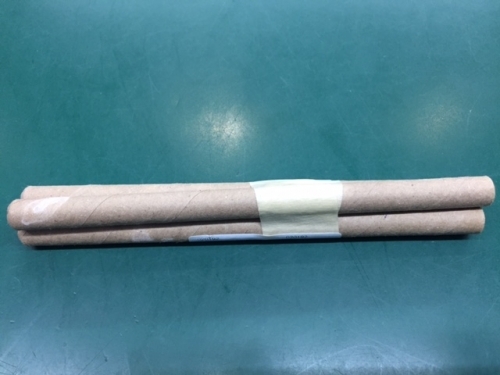 Includes universal poly tubing adaptor. Works with all drip systems. 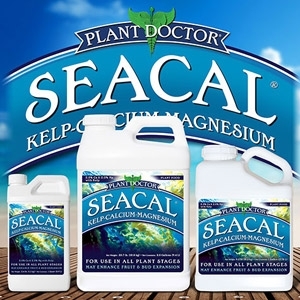 A natural-organic molasses-kelp based liquid nutrient that aids plant growth and production. 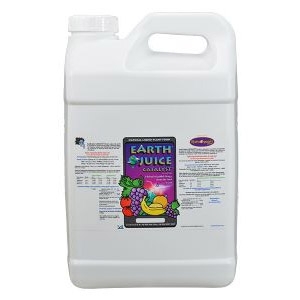 To be used as part of a complete fertilization program through all stages of plant development. Also functions as an excellent “finishing” formula for determinate plants. 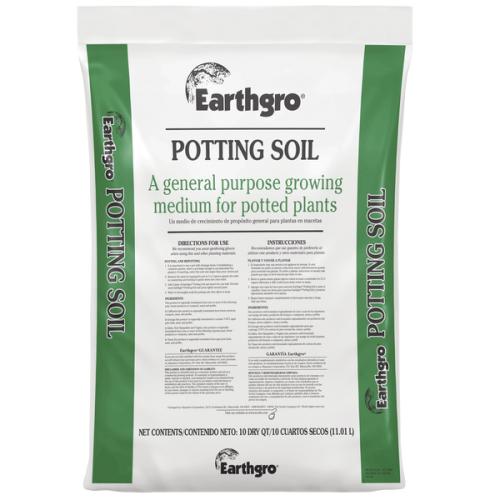 May be used solely or in conjunction with all soil and hydroponic fertilizers. Highly recommended. 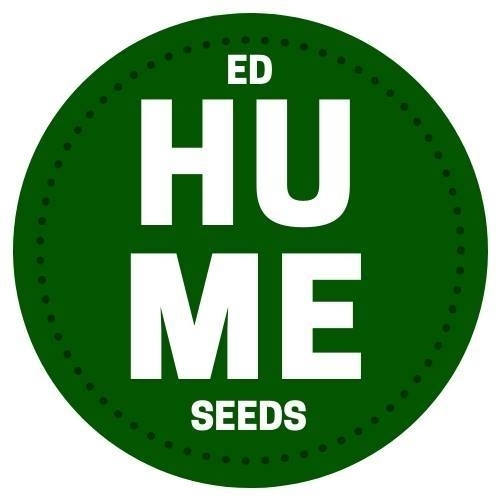 For indoor/outdoor plants, soil and hydroponics. For holding and catching rain water. 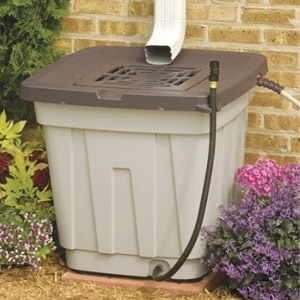 Capacity holds up to 50 gallons of water. Durable resin construction. Includes drain hose for water usage. 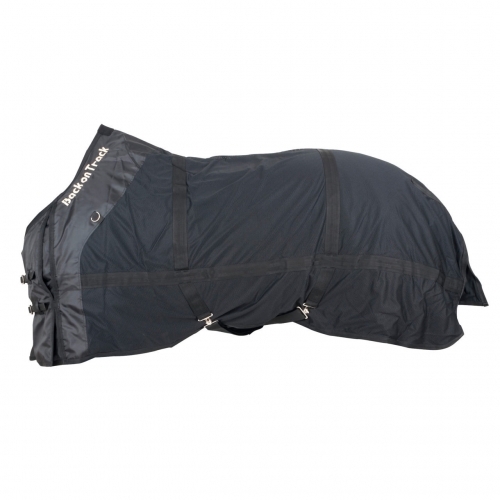 Includes shut-off valve for hose hook up. 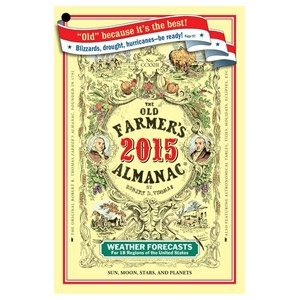 With its traditionally 80 percent–accurate weather forecasts, The Old Farmer’s Almanac predicts that this winter will be another arctic blast with above-normal snowfall throughout much of the nation. The extreme weather will continue into Summer 2015, which is expected to be predominantly hot and dry.